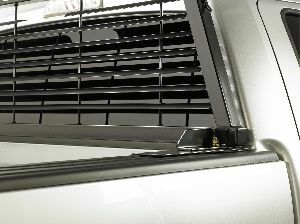 Showing 1 - 2 of 2 Products for Truck Bed Rack Installation Kit. Used For Mounting Safety Rack frames. Can Be Used As Replacement BackRack(TM) Hardware. Includes Rail Plates/Neoprene Strips And Instructions. Hardware is Yellow Zinc Plated. Brackets Are Powder Coated. Limited Lifetime Warranty.